There is so much to thank your mum for, starting with putting up with you! So, on this unique day each year, we know you’ll want to make a special effort and show that she is always in your thoughts and close to your heart. As a present for mum, our terrific mother’s day hampers and gift baskets, delivered right to her doorstep, are one way to make that special impression on such an important occasion. 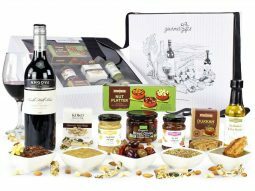 Our Mothers day gift hampers can feature red wines, or white, perhaps simply a selection of gourmet foods from famous names such as Australian Country Gourmet, Ogilvie Fine Foods and so many more. Perhaps it’s the moment to splash out on some Moet Champagne. You can choose from our huge selection; we know you’ll find one suited to your mum’s taste. Remember what you put her through as a teen? Now you’re grown up, you know exactly what mum went through for you. Got kids of your own? It’s time to show mum you appreciate the late nights, the lost Saturdays and even the brussel sprouts! Mother’s Day is a once-a-year chance (no pressure!) to thank your mum for everything she has done for you. She gave you life, put up with your angsty teen phase and helped shape you into the awesome person you are today. There’s no better way to celebrate your mum this Mother’s Day than with a Mothers Day gift hamper filled with premium wine or champagne and fine foods. You’ve heard the story a million times. Your mum went through serious PAIN to bring you into the world. Thirteen hours of labour until you made an entrance and melted her heart. She didn’t sleep for years and her back will never be the same, but she tells you she’d do it all again. Don’t you just love her? Show your mum how amazing she is with one of our divinely packaged Mother’s Day gift baskets full of delectable treats. She’ll get a smooth and creamy chocolate sauce, marinated olives, gourmet pesto and jams, and your choice of a bottle of Moet or Chardonnay. A premium Mother’s Day gift basket is the perfect gift for your special mum. From the moment your mum cradled your tiny body in her arms, she has put you first. She placed her career on hold, cheered you on at sporting carnivals when she’d rather poke a stick in her eye, and always gave you the biggest piece of cake. It’s time to return the favour. Make mum feel like a queen for the day with mouth-watering delicacies handpicked for her. A unique treat for the busiest woman you know, it’s time your mum was made number one with a Mother’s Day gift basket. If there’s anyone who deserves the title of Super Gran, it’s your mum. She’s the first person you can call on when the kids are sick and you’re stuck in a jam. Give back some of the joy your mum gives your family. Indulge your mum with a Mother’s Day gift basket she’ll enjoy one tasty treat after another. We’re sure she’ll drink to that! Choose one of our luxury hampers, tell us what heartfelt message you want on the card, and we’ll do the rest, ensuring a beautifully packaged hamper is delivered to your mum on time. Free and fast delivery – straight to mum, or you, you choose! Only fresh premium products she’ll adore. 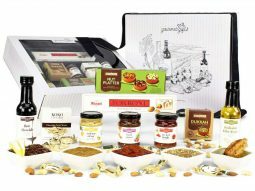 The only way to celebrate your mum this Mother’s Day is with an Australian Gourmet Gifts hamper. Browse our Gift Hampers now for the perfect present for your mum this Mother’s Day.